Here’s a little calling card that says “Herod was here.” If you’ve seen pictures of the Herodion, they look very similar. 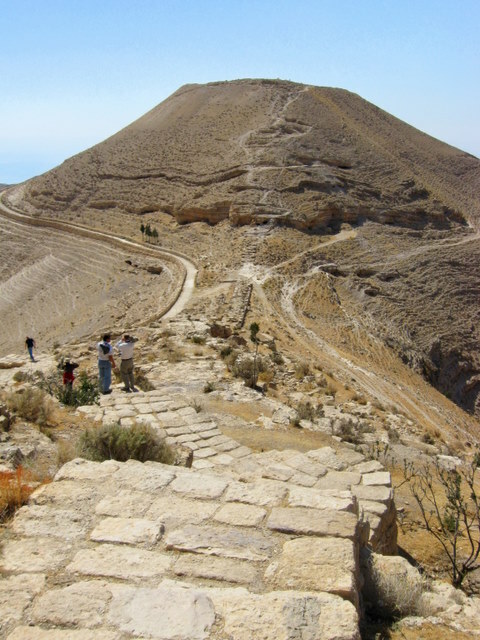 This is Machaerus, a fortress Herod inherited from the Hasmoneans and fortified to his own satisfaction. (Yes, that’s the Dead Sea in the background).